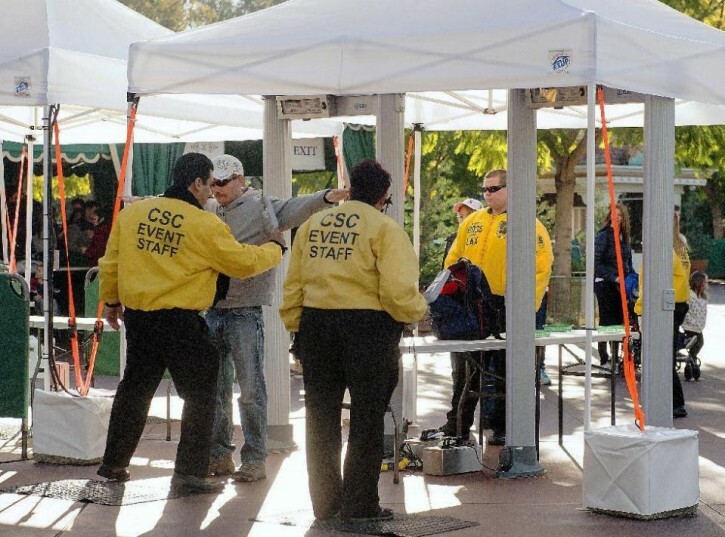 Orlando, FL - Three major theme parks announced Thursday that they are adding security measures including metal detectors ahead of the busy holiday season. Officials at Disney, Universal and SeaWorld’s Florida theme parks said all three parks will be using metal detector screening for guests as they enter. Disney will be randomly selecting guests for secondary screening but wouldn’t say how long the measures would be in place. Universal says its metal detector use is a test and won’t discuss specific future plans. SeaWorld says guests can expect bag checks and wand metal detector checks. “We continually review our comprehensive approach to security and are implementing additional security measures, as appropriate,” Disney said in an emailed statement. “Now, families can’t even go to ‘The Happiest Place on Earth’ to escape the realities of gun violence in this country,” Gross said. Disney doesn’t broadly discuss specifics about its security, but measures at Disney World have increased in recent weeks, in both visible and nonvisible ways for its visitors. There has been additional uniformed local law enforcement and specially trained dogs patrolling key areas. Too bad they have stricter safety protocols than our borders.